Confused about who pays for what and where to go for funding? In most areas of the UK the issuing of NHS wheelchairs and children’s buggies are usually the responsibility of your local Wheelchair Services. Depending on your condition you may be referred to Wheelchair Services by your GP, Physiotherapist, Occupational Therapist (OT) or for children, the Pediatrician. Waiting times for appointments vary around the country so do be prepared for a long wait. When you are invited to Wheelchair Services you should receive a full assessment of your needs. This may be undertaken by a specialist OT and possibly a wheelchair engineer if modifications are required. They will take leg and body measurements, check your upper body strength and ability to transfer into the wheelchair to try to establish the best wheelchair for you. No one type fits all! Ideally, they should take into account all your needs including how often you will use the wheelchair and where you will use it. But as with everything in life their choice may be a compromise – especially if you are a full time wheelchair user as no one wheelchair can deal with every mobility challenge! Whatever their decision the wheelchair or buggy chosen for you will remain the property of the NHS and they will be responsible for servicing and maintenance. And.....not everyone will receive a wheelchair as they are usually only issued for individuals with long term mobility difficulties. It is also unlikely that Wheelchair Services will fund extra accessories such as rain covers and bags. If you are applying for a grant towards a wheelchair you may asked by the charity if you have a wheelchair voucher. The Wheelchair Voucher Scheme has changed and is now called a Personal Wheelchair Budget (PWB). A PWB offers a wide choice for wheelchair users. These are available from you local wheelchair assessment centre. f you are eligible for a wheelchair a clinician to identify what you want to achieve with your wheelchair. You will be prescribed an NHS wheelchair and be told the cost of this provision. This is your Personal Wheelchair Budget . NHS Provision (Notional) - to accept the wheelchair prescribed to meet your needs. The wheelchair will remain the property of the NHS. Top-Up Alternative Wheelchair - to upgrade to an alternative model of wheelchair within the NHS range. The wheelchair will remain the property of the NHS. 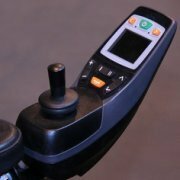 Top-Up Accessories - to add additional features to the wheelchair provided with help of the clinician. The wheelchair and any additional features will remain the property of the NHS. Third Party PWB - to choose a model of wheelchair outside of the NHS range, provided it meets your needs, from an independent mobility provider. The value of your budget will vary as the amount reflects the cost of basic wheelchair suitable for your needs. By accepting the Third Party PWB you are in control of your wheelchair choice and you will own the wheelchair. But..... as you own the wheelchair you will be responsible for all repair costs - this can be considerable as tyres wear out (and burst!) and seating covers/batteries may need replacing. Occasionally a funding charity may cover some or all of the maintenance costs if they have contributed to the cost of the wheelchair. Waiting for Wheelchair Services or finding grants towards a privately owned wheelchair takes time! Meanwhile how do you manage? 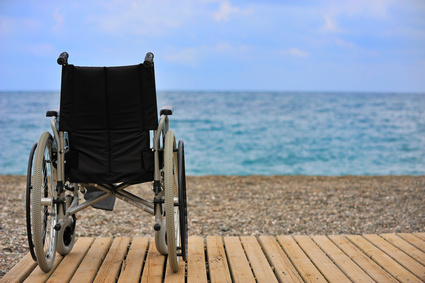 Renting or borrowing a wheelchair may be the answer. Especially if you have a temporary disability or a change of condition that requires a complete rethink to your mobility needs. Renting can give you the chance to road test different wheelchairs to find the right type of chair for you. So, where do you go? The British Red Cross offer short term help and are able to loan a wheelchair for up to 12 weeks. Most large cities have a Shopmobility scheme for hiring manual wheelchairs, electric wheelchairs and mobility scooters to enable individuals to shop and access leisure facilities. These are provided free or for a small charge. If you are in receipt of the Higher rate for Disability Living Allowance (DLA) or Personal Independent Payment (PIP) you can also use the Motability scheme to lease a powered wheelchair or mobility scooter. Motability will cover the cost of servicing and repairs BUT this will be instead of using the scheme for a Motability car. There are also a number of private companies that hire wheelchairs and mobility scooters. The options will be greater but so will the cost!